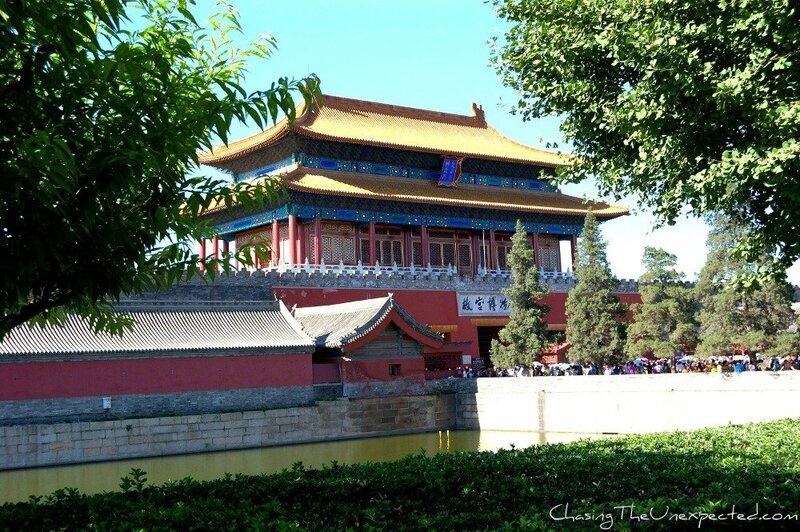 As I walked across the Forbidden City’s entrance gate in Beijing I was overwhelmed with expectations. I had read a lot about it and seen many pictures, and yet I was lured in by curiosity. Definitely one of the first things I wanted to visit in China. The first thing I noticed was that although it’s a royal palace, it has nothing to do with the royal residences I had visited in Europe, where luxury is really the main parameter used to measure their power and influence. 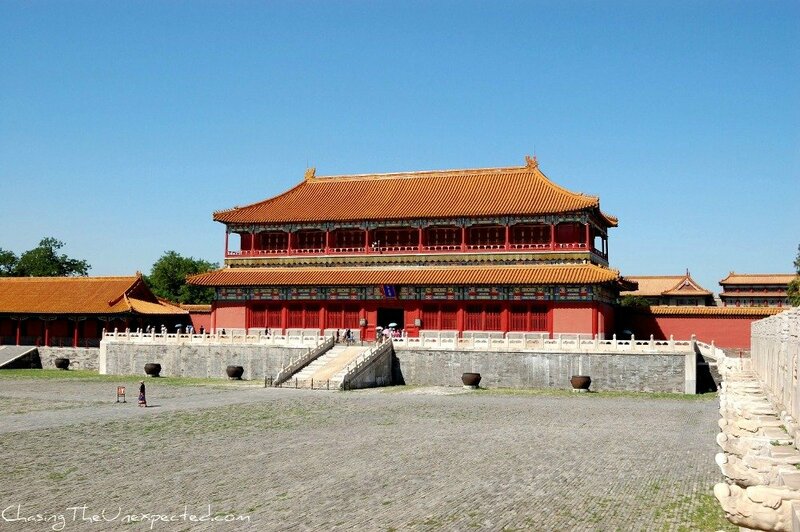 The Forbidden City, in Chinese Gùgong (故宫), literally “Former Palace”, is China‘s biggest imperial residence. Declared World Heritage Site in 1987 and listed by the UNESCO as the largest collection of ancient wooden structures in the world, the City was built between 1406 and 1420 and has hosted the emperors of the Ming and Qing dynasties. The complex consists of 980 buildings laid out on a surface of 720,000 square meters. This walled city is considered one of the best examples of Chinese traditional architecture, as it faithfully reproduces the mystical concepts of the Feng Shui, Taoism and Confucianism. Ancient Chinese culture believed in a strong harmony between men, nature and the universe, and the Forbidden City was built following the descriptions of heavenly palaces in traditional fairy tales, with areas devoted to enjoying natural phenomena, such as listening to the rain or the wind, traits common to many gardens and pavilions throughout China. –>> In China, Facebook and other websites are filtered. This is why it’s good to have a VPN service to be able to access all websites by connecting from foreign servers. I use ExpressVPN because it’s the most reliable among the ones I have tried, paid and free. ExpressVPN gives you a fast connection, a big choice of servers and you can install it in more than one device. You can do a monthly or annual subscription, obviously the annual is cheaper: last time I bought it was one month at the cost of $12.95, while the annual package costs $8.32 per month. Click here for more information on different packages and latest prices. Despite such celestial-like construction, life within its walls has always been shrouded in mystery, especially when it comes to the emperor’s private life, populated by countless concubines, young, beautiful and well-educated girls coming from all parts of China, whose sole duty was to please the monarch. The name of “Forbidden City” derives from the fact that nobody was allowed in or out unless specifically stated by the emperor. 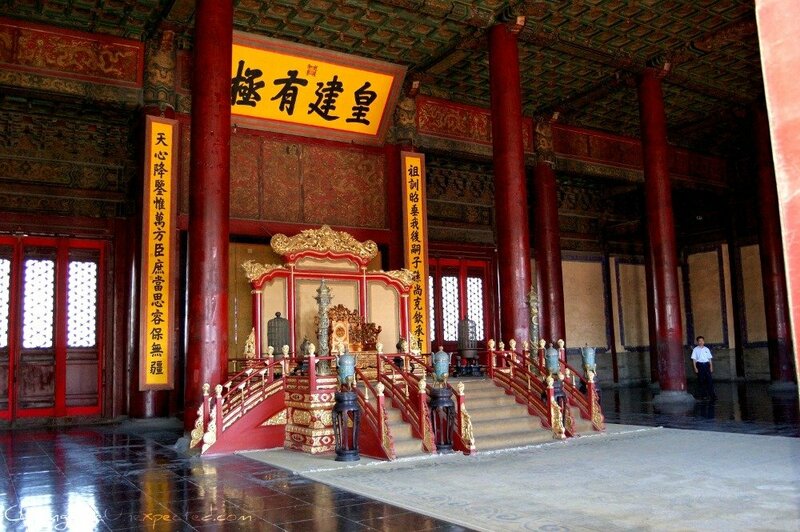 Within the walls of the Forbidden City Beijing, the emperor used to hold official meetings, receive foreign chiefs of states, read, write and host ceremonies. In a complex of buildings almost entirely inhabited by women struggling for power and competing for the emperor’s favors, very likely stories of jealousy, plots and vendettas thrived. 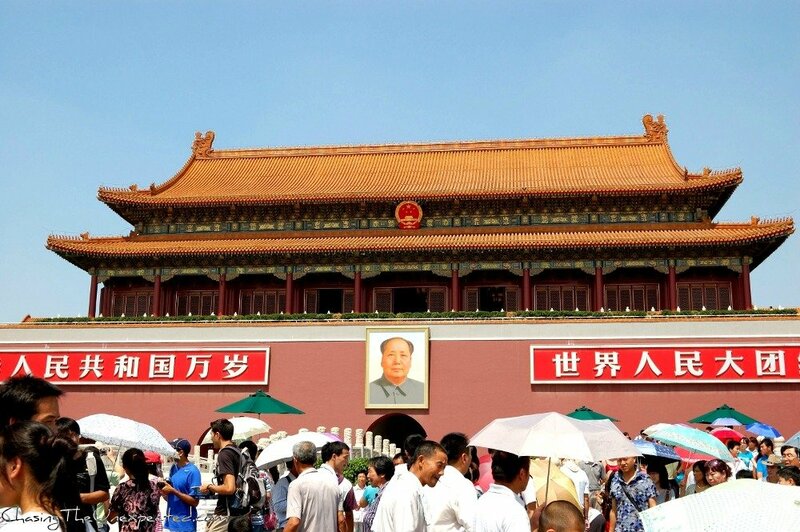 There are rumors that even some nasty affairs such as murder happened behind those walls, and it seems that this was the reason why Mao Zedong refused to live there and decided to close it once the Qing dynasty came to an end. Imperial city residence for almost five centuries and to 24 emperors, the Forbidden City was the house of some 9000 people, between servants, guards, eunuchs, concubines and the royal family. 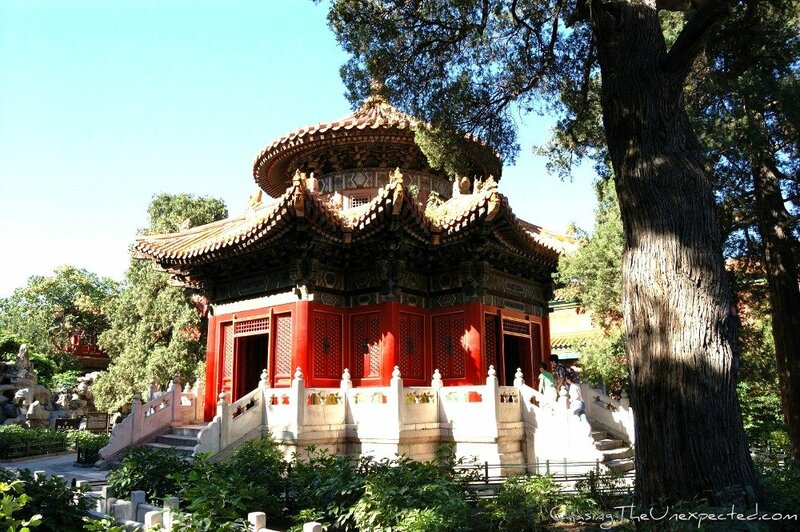 All buildings are made of painted wood and all materials were brought from all parts of China. To avert the risk of fire, huge cauldrons full of water were scattered all throughout the complex. Although some features changed depending on the dynasty, both Ming and Qing emperors were allowed to have more than one wife and several concubines. Every night the emperor would choose which concubine was supposed to entertain him and the girl would go through hours of what can be considered the forerunner of modern beauty salons, in order to be at her best not to disappoint His Majesty. The number of times a concubine was called by the emperor would determine her social rank. 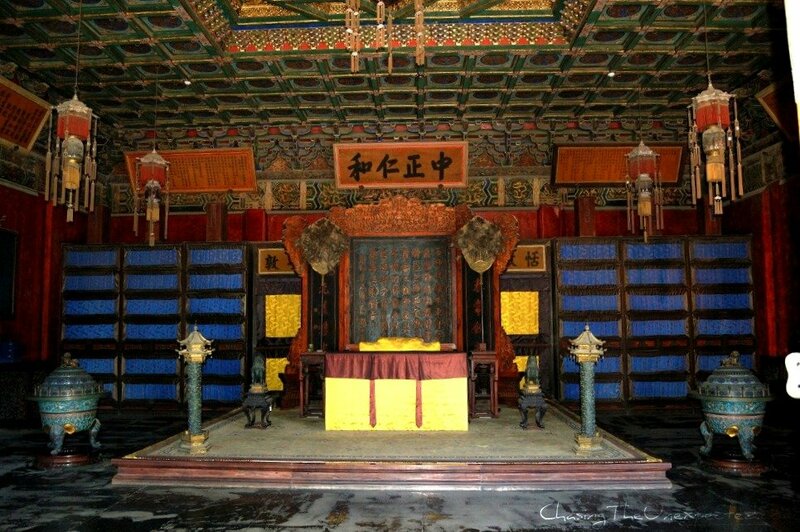 The last Emperor who lived in the Forbidden City was PuYi, and was put on the throne to rule the country at the age of three, nonetheless. According to the legend, at the ceremony to crown him as emperor, the child was too scared to stay calm. He was forced to abdicate in 1912 when turbulent times were starting for China but was held in the palace until 1924. Puppet of the Japanese government, PuYi has always been strongly criticized for his weak policies towards Western powers, allowing them to reduce China to a semi-colony. Shanghai itself was divided in foreign concessions. 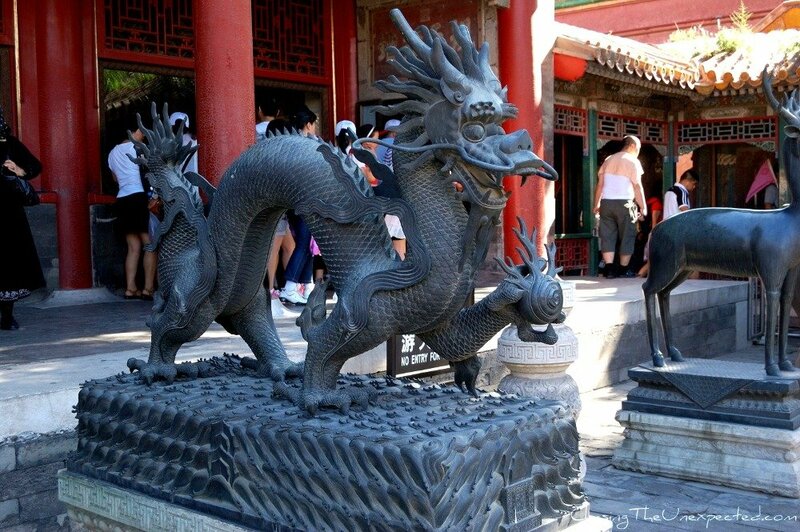 Dawdling about the Forbidden City, even though it’s not as it was during its golden ages, is inevitably captivating. At every step, I couldn’t help but think of the thousands of concubines that within those 10-meter high walls found a career boost and their golden prison at the same time. Of course, their mentality and priorities were different from mine or from Chinese girls today, but this is the only parameters of comparison I have and the only tools I can use to try to understand how they must have felt. It’s hard to believe they were actually happy to devote their life to please the emperor, having to compete with other hundreds of girls. They were not allowed to marry unless chosen by the emperor himself as one of his wives, and I fail to believe that, although living the dream of many to be the emperor’s concubine, they didn’t dream of having their own family. 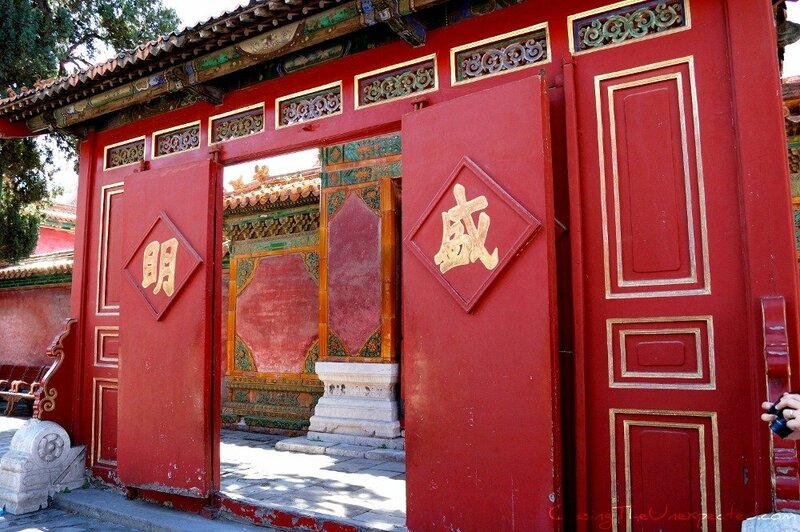 Today it’s not possible to visit every room of the Forbidden City, but walking around its wide corridors, through its countless red gates, visiting the most important halls and gardens, gives an idea of how life was within those walls, charming, luxurious and cruel. Beautiful, colorful photos! China is pretty magical, right? I didn’t make it to Beijing on my last trip — next time! 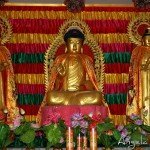 Yes, it’s really awe-inspiring, and I believe the emperor might have been pretty capricious! Great set of information Angela that tells the story of the Forbidden Gate (and the people that lived behind it) and, as usual, beautiful photos to go with it. Somewhere I’d like to visit one day and like you, picture what life must have been like there. Thanks Julia, it’s very fascinating to walk on the same paths emperors, empresses and concubines have been centuries before and try to picture them in their daily activities like everyone else, even though history has made them mysterious characters. Tu as vraiment bien décrit la Cité Interdite! C’est vrai, ce qui frappe c’est la différence avec l’Europe. Je m’attendais à quelque chose de semblable mais c’est tout à fait différent!Peut-etre moins grandiose mais quand meme très luxueux! Le bellissime foto e il tuo commento rendono l’idea. 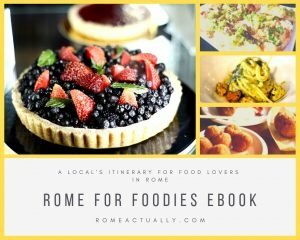 Comunque la Città Proibita va vista, come la Grande Muraglia! E’ il modo migliore per capire veramente ! 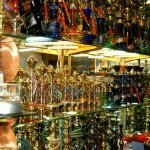 Vero, è da non perdere. They’re cool, in Chinese culture they have so many meanings that I might devote a post only to dragons! Impressive pictures. Walking around there must make some eyes drop. I love the way you wrote it up and told a little bit about life behind the palace walls. Thanks Natalie, life in the Forbidden City really tickles my curiosity, for some must have been very difficult. Great photos and really liked your thoughts on the interworkings of the city. When we went, I couldn’t believe just how huge the entire place was- And how many people were there. Imagining yourself back in time really adds to the whole experience. Thanks Jade, it was not very easy to concentrate on people back in time due to the unbelievable crowd when I went, but I think it helps understanding how was life in the past centuries, and it’s what I like the most when I visit places like residences. Wow Michael, you’ve been to the Forbidden City 4 times, that’s great! I too feel I will need to go back, only once it’s too little! Looks like you walked in the opposite (wrong) direction. The top photo showing the “main gate” is actually the back gate. The Meridian gate is larger and more imposing. True, I, along with hundreds of thousands of other tourists that day, walked in the “wrong” direction. Among the reasons I can think of is that my tour guide, again probably along with many other guides, decided to start the tour from that entrance since we arrived on that side from the other attractions we visited before the Forbidden City. Truth be said, on the “wrong” side, we also found the ticket office, which is quite strange if you think about it, why would they set up the ticket office in the “wrong” place? I visited the Meridian Gate the day after, going to Tiananmen Square. Even though walking in the wrong direction, I thoroughly enjoyed both Beijing and the Forbidden City. Thanks for commenting and welcome to my site! The Forbidden City is so worth the crowds (although it wasn’t too bad when we visited). Nice photos! You had a gorgeous day at the Forbidden City. We were there last December (2010). It was cold and grey but we were so happy to be there. Like you, we were just overwhelmed by the sheer magnitude of the place. It was nothing like the castles of europe. It truly was its own city. Yes, a city and a fascinating glimpse on the country’s past. i only took fotos of its exteriors mostly, as we were pressed for time. It’s very beautiful, I would love to go again and spend a bit more time wandering around. I would love to visit this – It looks absolutely amazing – will retweet this. It is truly amazing, I hope you can make it soon! Very interesting! I love places like this. It would be amazing to actually see the palace in its prime.